By Sinead Makk | September 29, 2013. Street crime in Dublin’s inner city is becoming an increasingly serious problem as more and more people become victims of crime each week. A 51 year old man was killed in Ormond Square last week after being stabbed several times. The incident happened in broad daylight, at approximately 2.30 pm. The incident comes shortly after a 27 year old man, Ian McKenna, was left critically injured following another savage daytime attack outside the Central Bank of Ireland on College Green. McKenna was stabbed up to eight times and sustained a punctured lung as a result. CCTV footage showed five men assaulting him just after 6pm on the 9th of September. Stabbings aren’t the only problem in Dublin’s inner city however; there are also problems with muggings, drugs and other anti-social behaviour. 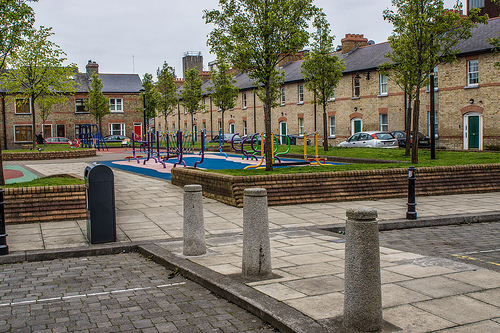 Thefts from the person is a particularly prevalent crime in Dublin city centre, with phones frequently being snatched from the owners hands, and bags being robbed in the middle of the day. Smartphone owners are particularly susceptible to this crime and are being warned to be vigilant as 8,000 phones were stolen in Dublin in the first six months of 2012. While CSO figures released last week show an overall decrease in crime rates, thefts from the person rose by 33%.